Celebrate old friendships and create new ones with Seasonal Gift Cards! To secure gift cards in time for your promotion, please connect with a Recall Masters representative. Default card amount of $30, but the amount is up to you. You decide how big your gift will be! Toyota of Orange is an outstanding dealership that thrives on delivering exceptional service, which makes them one of the most successful Toyota dealerships in the nation. It’s not just about “common” courtesy, but, rather, “UNcommon” courtesy that takes center stage whenever consumers come to their dealership. For the 2018 Spring Shopping Season, Toyota of Orange turned to Recall Masters to orchestrate a campaign that would help them retain their existing customers and appeal to lost customers who had not been back to the dealership in at least 12 months. 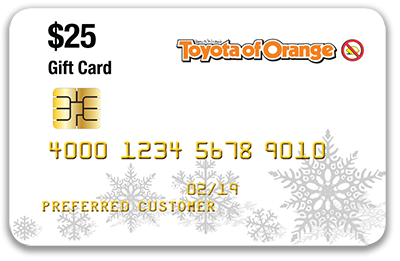 A $25 Gift Card for Toyota of Orange was mailed to 4,980 households first class and also included a supply for in-store use that the dealership staff could distribute at select times. The campaign targeted in-store customers and lost customers. Not surprisingly, the Toyota of Orange staff distributed the cards generously to customers who were looking to offset Service Department repair costs, came in for a test drive or upset about a particular experience. The results? The numbers speak for themselves! There’s no question that the Toyota of Orange campaign transformed their approach to customer retention. The only outstanding question is what the program can do for your dealership. The results speak for themselves! Get Started on Your Promotional Gift Card Campaign! Submitting this form assumes that you are a Recall Masters client or a prospective client. 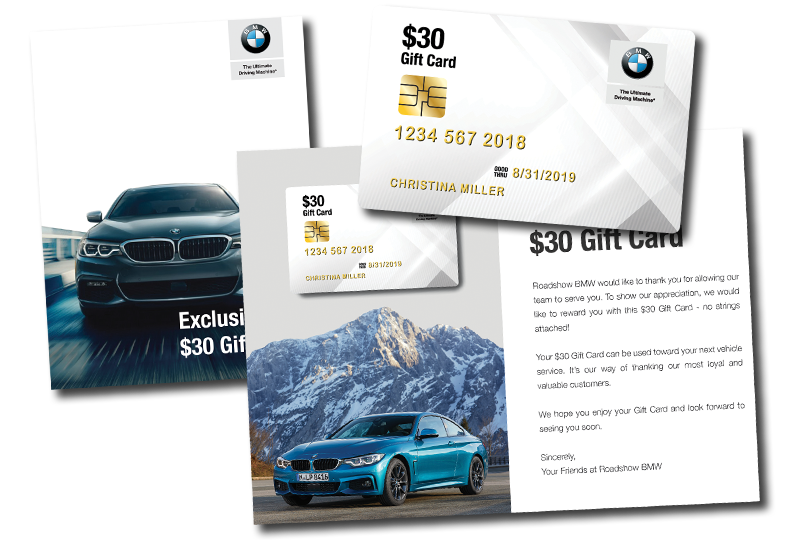 Your account will NOT be charged for any Gift Card materials until we can confirm your account status and that the request is coming from a dealer representative authorized to request the respective materials. Gift Card solutions have a cost associated with them. A client manager from Recall Masters will discuss the Gift Card configuration, design, costs and necessary details with you. Thank you for your inquiry.